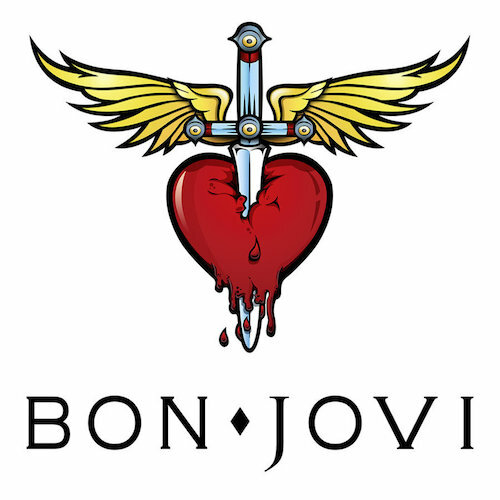 Bon Jovi is set to be inducted into the Rock and Roll Hall of Fame tonight in Cleveland, Ohio, and the entire state of New Jersey is celebrating, as Governor Phil Murphy has declared that April 14th as Bon Jovi Day. The announcement was made on Friday night during a private event at the the historic 925 Building. It was a surprise for the group members in attendance: Jon Bon Jovi (with his wife and four children), David Bryan, Tico Torres, Hugh McDonald, Richie Sambora, and Alec John Such (who will be inducted tonight). Other VIP guests included sports icons Robert Kraft, Jerry Jones, Bill Belichick, and Charlie Weiss; music executives Irving Azoff, Island Records head David Massey, CAA’s Rob Light, Paul Korzilius, and longtime PR man Ken Sunshine; along with close personal friends Michael Feldman and wife Savannah Guthrie. Guests feasted on seared snapper, Swiss chard, micro cilantro, truffle whipped mashed potatoes, vegan eggplant roulade, and were treated to a rose bar featuring Jon and his son Jesse Bongiovi’s brand new Hampton Water rose. Bon Jovi will be inducted into the Rock Hall tonight along with The Moody Blues, Dire Straits, The Cars, Nina Simone, and Sister Rosetta Tharpe. The ceremony will air May 5tg on HBO. Glad to see Alec showed up. He was there in the beginning and deserves to be acknowledged.